Echipa AVmall incearca sa mentina acuratetea informatiilor din acesta prezentare. Cu toate acestea, in anumite cazuri, pot aparea mici inadvertente pentru a caror semnalare va suntem recunoscatori. Ne poti contacta oricand pentru a clarifica eventuale nelamuriri. Nu uita sa mentionezi in corespondenta ta numele exact al produsul. Fotografia produsului Subwoofer Yamaha NS-SW1000 are caracter informativ si poate sa difere de produsul real sau sa contina accesorii neincluse in pachetul standard al produsului. Specificatiile tehnice pot contine erori de operare si pot fi schimbate fara instiintare prealabila de catre producator, neconstituind obligativitate contractuala. Crossing the border between HiFi and theatre sound reproduction, deep, tight bass brings out the individuality of the main speaker system. 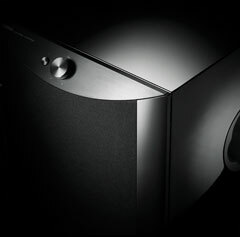 Yamaha′s new subwoofer proudly brings you 1kW of output power. The NS-SW1000 is a new Yamaha high-end subwoofer faithfully utilising Advanced YST ll (Yamaha Active Servo Technology ll) polished over the span of a quarter century to achieve highly musical reproduction of exceedingly low bass frequencies. The main themes in developing this model were completely achieving “both high sound quality and high output power” and “both HiFi and theatre reproduction”. While maintaining the huge power output and sound levels of the previous YST-SW1500, the NS-SW1000 aims to deliver uncompromisingly delicate musical expression that brings out the individuality of the main speaker. For that reason, maximum priority was given to creating an extremely efficient speaker within which to employ the unique A-YSTII technology. The foundation for this is the massive 19kg (41.9 lbs) high strength, heavy enclosure around the 30cm (12”) woofer unit with double magnets, the all-new Yamaha digital amplifier IC, and the high 1kW output power amplifier incorporating a large analogue power supply. These three elements fuse an extraordinary scale with traditional musicality to bring you deep, tight, authentic bass that′s perfect for watching movies, listening to multi-channel audio or music videos, or for bringing dramatic richness to high-end audio systems. The cabinet employs a massive 19kg (41.9 lbs) high strength, heavy bass reflex enclosure constructed of thick 36mm (1-3/8”) MDF (medium-density fiberboard) on the baffle sides and 25mm (1”) MDF on the other sides with traditional three-way mitered-joint construction. It has a strong resonance-resisting structure with cast-iron legs and a front-firing design with the woofer unit attached to the front of the enclosure. It delivers direct, razor-sharp sound that′s ideal for high-end audio systems. The 1kW output power digital amplifier employs a drive stage using the all-new Yamaha digital amplifier IC and a high current MOS-FET discrete push-pull output stage. Careful sound quality tuning included the use of a luxurious triple-wound Litz wire high-capacity output coil and capacitors especially designed for audio, resulting in optimum high quality and high power, for use in theater or HiFi environments. The huge power supply for the built-in power amplifier has a massive 10.2kg (22.5 lbs) high capacity power transformer and two large 160V 4,700μF block electrolytic capacitors, making it capable of sustaining the 1kW power output. 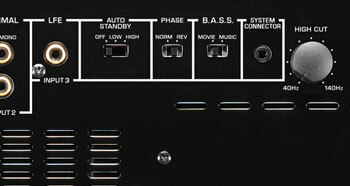 Yamaha used a conventional pure analog power supply to achieve superior response and musicality in the very low bass range. Developed by Yamaha, the Advanced YST II (Yamaha Active Servo Technology II) combines negative-impedance and constant-current principles to drive the speaker cone with even tighter control than the previous version. Using Advanced Negative Impedance Converter (ANIC) circuits, this system dynamically optimises effective speaker impedance to maintain excellent linearity. 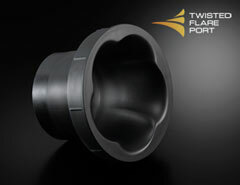 This means more stable and accurate low range response, not to mention higher sound quality. 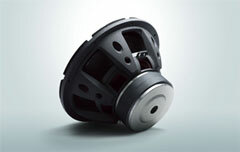 To achieve long-stroke drive with its superior linearity, the NS-SW1000 uses a 30cm (12”)woofer unit with a strong, flexible drive system employing double layer large diameter ferrite magnets and a double damper with an air vent. The frame is high strength aluminium diecast to suppress unwanted resonance even at high volumes, making it possible to reproduce delicate tonal nuances. The specially designed woofer diaphragm is semi-pressed paper incorporating Kevlar fibers for high strength and optimal internal losses. 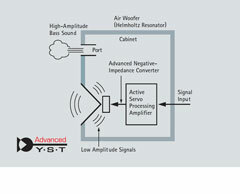 It was developed for this model in pursuit of the ideal characteristics for a subwoofer. The NS-SW1000 cabinet exterior is available in your choice of black piano, white piano, or black embossed laminate. The piano finish uses the same material as Yamaha grand pianos, and in the last production step each unit is carefully polished, giving a good gloss for your livingroom or listening room. The embossed laminate is ideal for home theatre with a subdued gloss that reduces reflection onto your viewing screen and a scratch resistance surface. The aluminium front panel with its hairline finish gives an accent to the front panel, and the large aluminium volume control knob, power switch and other controls are spread over the front panel to make a high-grade, comfortable design that is a good match for high-end HiFi Subwoofer. If a no-signal condition persists for more than 8 minutes, the system power turns off and a standby condition is entered. Recent energy-saving technology keeps power consumption in standby mode to under 0.3W. A System Control connector is provided, and by connecting it to the System Control connector on a Yamaha AV amplifier or integrated amplifier, the power can be set to be automatically turned on and off with the connected amplifier. A 5m (16 ft) cable is provided. 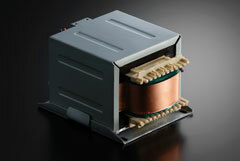 On the rear panel a phase switchover selector is provided that selects either normal or reverse woofer output phase. You can set the best phase according to your listening environment while doing comparative listening tests. By using the rear panel B.A.S.S. switch, you can set the unit′s tonal characteristics to Music or Movie. Choose the optimum setting depending on the programme source or equipment configuration. Weight 42.6 kg; 93.9 lbs. 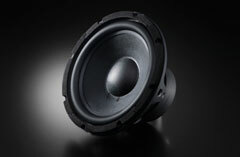 Nu sunt recenzii pentru Subwoofer Yamaha NS-SW1000. Fii primul care scrie una!